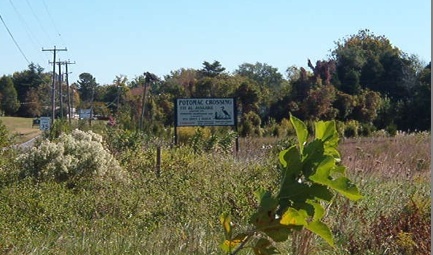 Potomac Crossing is the name of a proposed subdivision in the Potomac Beach area right next door to the Town of Colonial Beach. 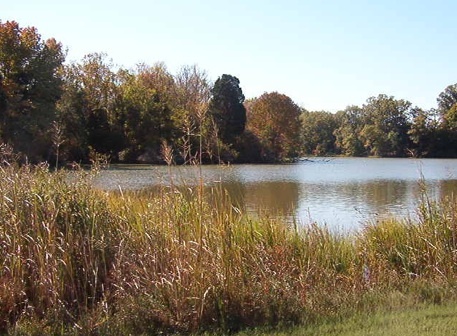 511 acres were purchased from the Wilkerson's and groundbreaking was initially set for February of 2003. I was all ready to go select a lot to build my dream home on, and I'm still chomping at the bit to do so. The site plat really impressed me when I saw it published in the local paper. Situated around an 18-hole golf course are 913 residential units, consisting of both townhomes and single-family residences. This is very much like the subdivision I grew up living in. 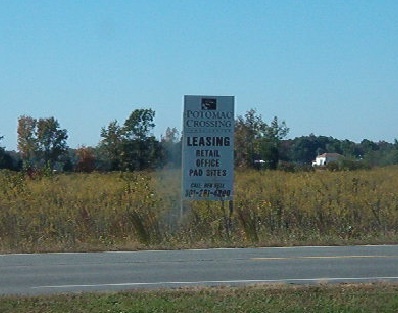 Not to be confused with a neighborhood of the same name in Leesburg, VA, Potomac Crossing is a project by developer Ben Bell, who began work on the Westmoreland Athletic Complex across from the entrance to Westmoreland State Park as part of the deal. The WAC sits unfinished for now, it's just graded dirt where one day soccer fields and baseball diamonds may be put to good use by local area children. Also making up the area will be 182,000 square feet of commercial space, a clubhouse and practice facilities, and a community recreation center. I hope they put in some tennis courts, I love to play tennis. Here's a link to a newspaper article from January of 2007 talking about how work will begin soon. http://fredericksburg.com/News/FLS/2007/012007/01012007/246239 Yeah, it's many years later, but with the sorry state of our economy, it's no wonder this project hasn't been started.